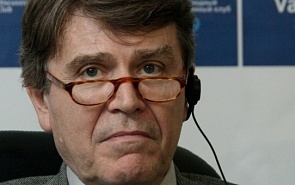 Founder and President of the French Institute for International Relations (IFRI); Professor Emeritus at the Ecole Polytechnique and Conservatoire National des Arts et Mйtiers; Member of the Acadйmie des Sciences morales et Politiques of the Institut de France and a foreign member of a number of academies including the Academy of Sciences of Russia, columnist at le Monde (since 2002). Previous positions: launched the World Policy Conference at Evian, France, with the participation of presidents Medvedev and Sarkozy (2008); First Chairman of the Foundation for Strategic Research (1993-2001); Founder and first director (1973-1979) of the Policy Planning Staff (Centre d’Analyse et de Prйvision) at the French Ministry of Foreign Affairs. Author of numerous publications and over 10 books on economics and international relations. Awarded the Legion of Honor and a number of state awards from France and other countries, including Austria, Belgium, Brazil, Germany, the Netherlands, Poland and Romania. The US-Russian plan to eliminate Syria’s chemical weapons is an opportunity for Russia to demonstrate the role it intends to play in international relations.The Western models of democracy cannot be mechanically spread through the Middle East due to the distinctions of the region’s societies.